through the implementation of our holistic approach to educational access. experience to travel abroad and positively impact their surroundings and themselves. Our Expedition Model enables the research conducted by our THINK TANK to be realized. 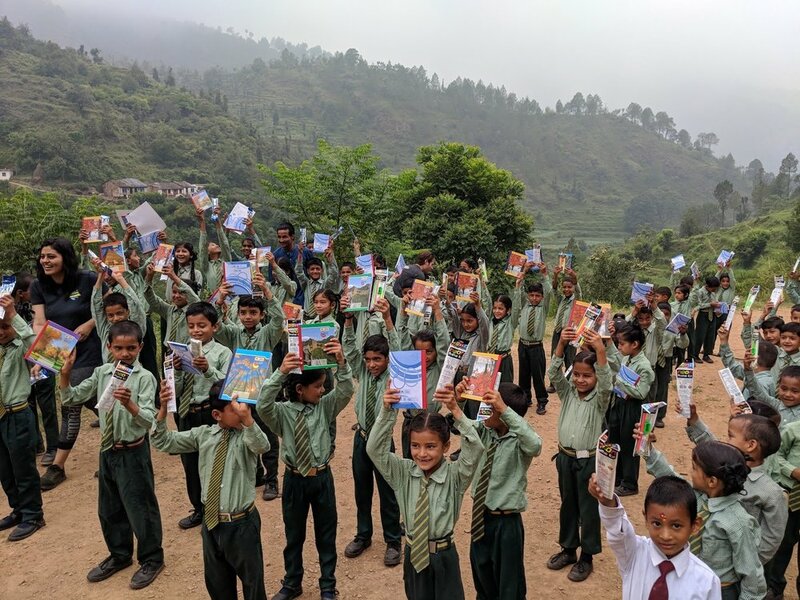 Journey with The Walking School Bus across Uttarakhand, India where we will work with 3 of our participating schools and communities to improve access to Transportation, Nutrition, and Curriculum. Data collection regarding attendance rates (helps to quantify our Impact). Adding content and features to our Solar Power Classrooms! So much more! Check out the itinerary for more details. We ask Indian Participants to pay the initial deposit of ₹20,000 by January 1, 2019. Upon receipt of your application, you will receive banking details. Our goal is for participants’ second deposit to be fully fundraised. Our goal is that each participant raise ₹32,000 to contribute to the projects in Uttarakhand. TWSB will help you meet your fundraising goals through both a communication plan and an official fundraising page for each participant. For participants considering a half-expedition, please contact info@thewalkingschoolbus.com for pricing information.